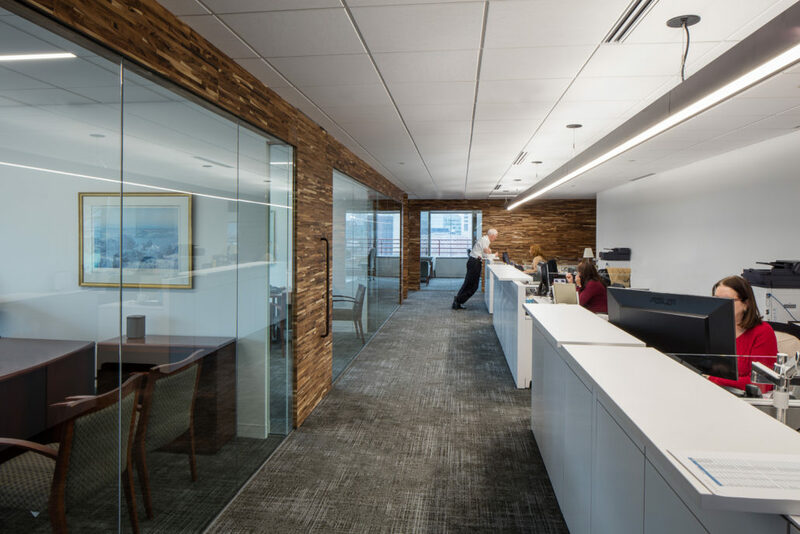 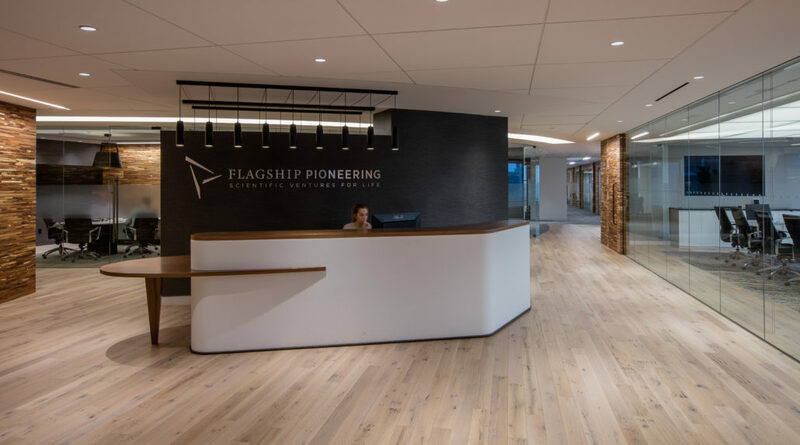 When Flagship Pioneering enlisted VC to design their new office, they wanted a unique space with a “techy” feel that would both attract and foster new life science startup companies, but also express the innovative values they exemplify. 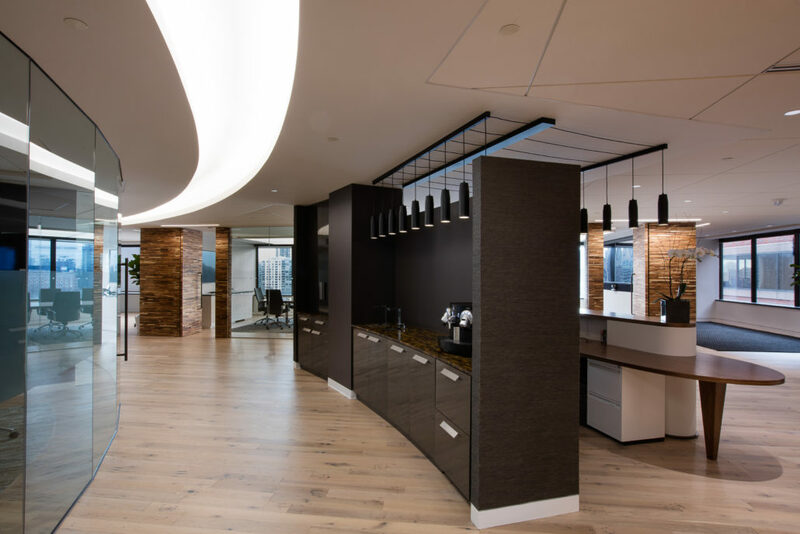 VC carried this out by selecting a combination of unique materials and a meticulous layout that provides privacy and functionality for both Flagship and their incubator companies that cohabit the space. 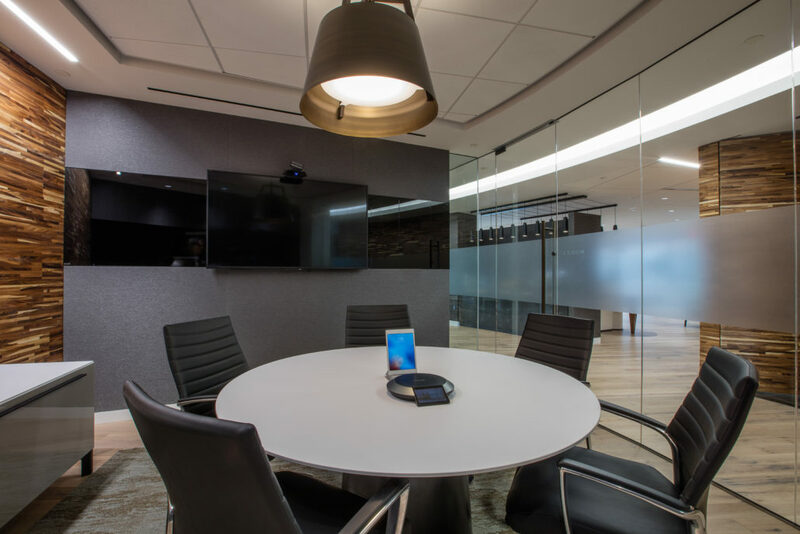 VC designed with the intent for the users to feel inspired with features like a custom light fixture that intriguingly runs from reception and over a wall to hang over an open coffee bar, while a glowing curved ceiling detail wraps the front conference rooms, which all have seamlessly integrated AV capabilities. 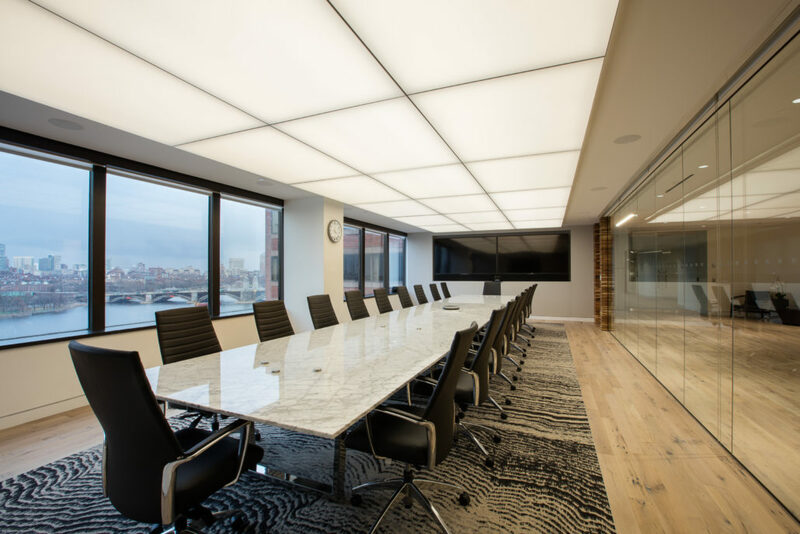 The boardroom boasts a continuous illuminated ceiling that floats over the marble table. 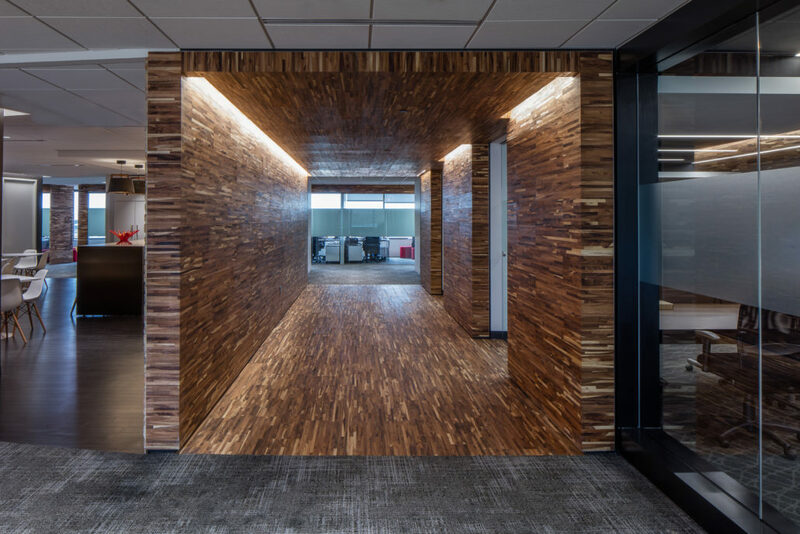 One of the key unique features of the space is the “portal” at the entrance of the room dedicated to their fellowship program, fully wrapped in reclaimed exotic acacia wood paneling.